I'm a real person with a busy life. What kind of results can I expect? You've got your hands full. You need a weight loss plan that works for you and your busy life. Personal has a proven track record with busy people like moms, dads, police officers, nurses, railroad workers, dolphin trainers… you name it! Many of our customers take Personal Trainer Food with them to work and just heat and eat in the company kitchen microwave. We hear a lot of stories of jealous co-workers wanting to know what you’re having! One of the most important thing we’ve learned over the years is that every person’s weight loss journey is different. Here are some examples of the results people get on our program. Sonay, dolphin trainer, free-lance photographer, was able to lose 42 pounds in 10 weeks. 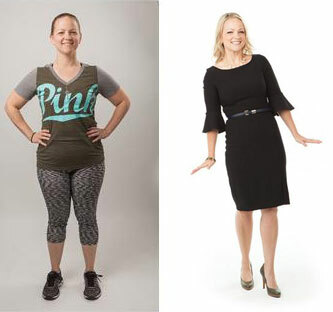 Personal Trainer Food is so easy to do that she was able to lose the weight-- even during the hectic weeks leading up to her wedding! 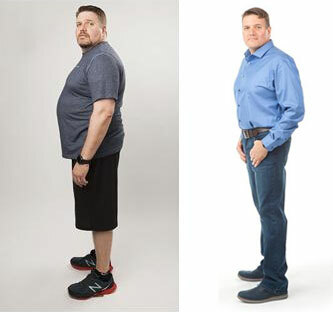 "The crew of Personal Trainer Food have succeeded in ensuring the loss of over 55 pounds on my journey to my healthiest weight. Thanks so much Personal Trainer Food Family. Their continual encouragement, personal story, and commitment to me has far surpassed my expectations and what I believed I could achieve. The well-designed food plan and rules are easy to follow, delicious, satisfying and healthy. I truly appreciate the balanced approach Personal Trainer Food had in helping me get my life back, even when I felt I was too old to get back. I feel better than I did in my 20’s and will turn 50 next year. My friends, family and co-workers continually tell me how young and healthy I’ve so quickly and miraculously become. Thanks again Personal Trainer Food!" 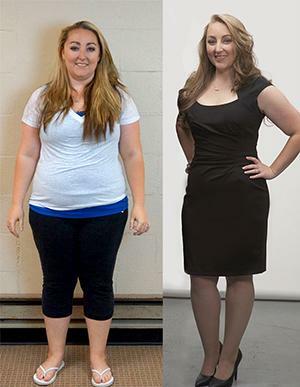 "Personal Trainer Food has made losing weight so easy for me. Their food tastes great and I don’t have to think about what to eat. I truly believe that I wouldn't have had this much success without it!" "I love that the food makes the choice to stay on track so easy. It's food I enjoy with great snacks! I am so happy I can see results quickly, keeping me motivated that it's really working!" See more reviews and results on our success story page. Call us today to talk about your goals and which plan is right for you at 1-800-273-1686 x4, or email WeightLossCoach@PersonalTrainerFood.com. You can also chat or leave a message for us below.